Instrument transformers comprise a large category of current and potential transformers for various voltage, frequency and physical size ranges. 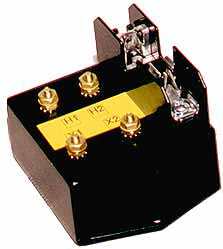 We have broken them up into several different groupings: low voltage, which are system voltages under 15kV; high frequency, operating frequency over 1kHz; and size ranges from board mount parts up to current transformers with window sizes of 254mm by 610mm. Read through the different types we supply below and use our Instrument Transformer RFQ Form to request a specific part to meet your requirements. Used primarily in a step down environment to monitor voltage. 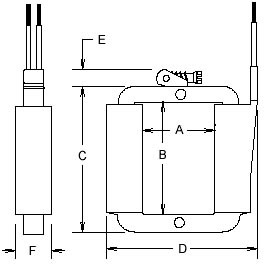 They are designed for connection line-to-line or line-to-neutral in the same manner as ordinary voltmeters. The secondary voltage bears a fixed relation with the primary voltage so that any change in potential in the primary circuit will be accurately reflected in the meters or other devices connected across the secondary terminals. Potential transformers can be used with voltmeters for voltage measurements or they can be used in combination with current transformers for watt-meter or watt-hour meter measurements. They are used also to operate protective relays and devices, and for many other applications, Since they are used in a monitoring capacity, they generally require much greater accuracy in design. 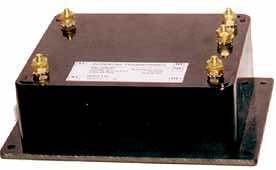 For measuring 50-400HZ currents in bus bar and other large conductor systems. Typical configuration is 400A to 12000A primary current with secondary of 1A or 5A (special secondary currents are also available). Inside areas as small as 3.00" X 7.00" and as large as 7.00" X 27.00" and 10.00" X 24.00". 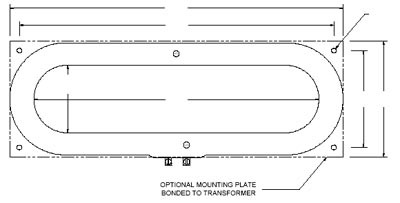 All models are available with optional mounting plates for "bulk-head" mounting. Some models are U.L. recognized devices. 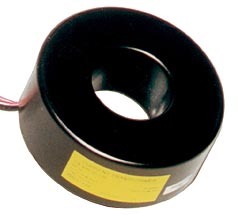 This type of current transformer is available to measure AC currents from 100A to 600A, at 50 to 400HZ. They are very popular in sub-metering applications where existing systems are being upgraded and it is impractical to isolate the primary conductor. It is even possible to install this type of transformer while the conductor is energized, however it is paramount that certain safety precautions be followed under such conditions. Rectangular in shape, standard split-core models are available with window dimensions up to 4.00" X 7.50". Even larger, custom designed sizes are available by special order. 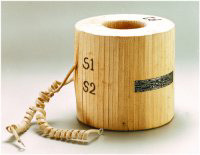 Secondary ratings of 5A, 1A, and 100ma are all common in split-core current transformers. Two model groups are available, SP and SPS. The former is provided with a stainless steel screw-clamp band securing the two core halves; the latter has a UV resistant nylon band. All ratios are available in either type. Electrical and magnetic performance is identical for the two groups.